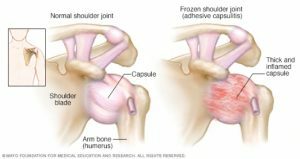 Home » Blog » Chiro Knowledge » Frozen Shoulder Solutions! Some may find it hard to believe that shoulder pain can limit your mobility and tasks that you perform on a daily basis. This may include the ability to dress yourself, hold a child, or reach for something up on the top shelf. 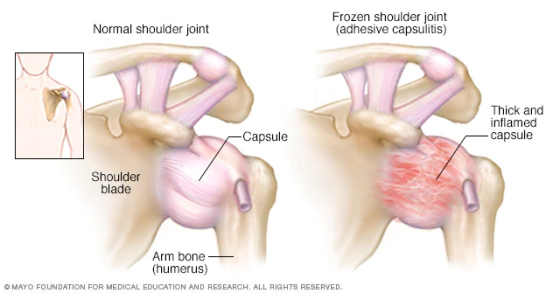 Frozen shoulder, also known as adhesive capsulitis, is the physical tightening of your arm that restricts movement in these areas. 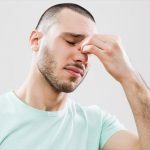 Pain gradually increases overtime, and begins to resolve within 1 to 3 years. Yes, you read that correctly, years. 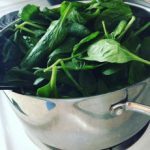 If you had surgery or an illness in the past that restricted movement, this may have caused your joints to lock up and the inflammation in your shoulder to worsen overtime. In other cases, there is not a definite sign pointing to the cause of this discomfort. There has been a higher occurrence of frozen shoulder in women over the age of 40, and individuals with chronic illnesses. The best thing to do is address the problem immediately, as it will only worsen overtime. Chiropractic treatment is the perfect resolution for this problem, as it focuses on the root cause of your pain. Dr. Christie states, “In many cases, the shoulder is not the only joint involved in frozen shoulder syndrome. 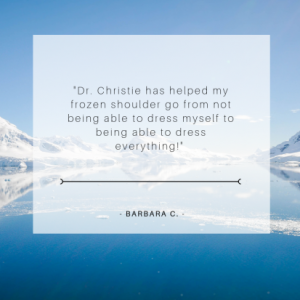 Often the trapezius muscle is over-stimulated and is causing the shoulder to dysfunction.” Stretching or rehabilitation visits will also help a frozen joint heal faster. 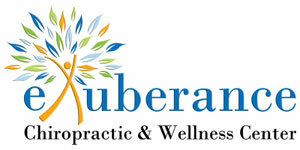 We offer both here at Exuberance Chiropractic & Wellness Center. Our doctors have seen a number of patients struggling in this area who have found relief from their visits. We are also now accepting inquiries for our second location – (952) 435-3346.